The land speed record is a somewhat deceiving achievement. 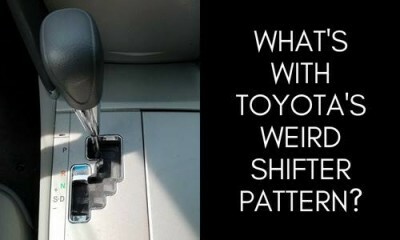 While your mind may conjure up an image of the latest high performance sports car, in reality, the vehicles achieving these marks are essentially jets on wheels. Now comes news that a UK-based team is building a vehicle that they hope will be the first to hit 1,000 mph. But can we really call it a land vehicle? And if not, what is the point of even having a land speed record anymore? 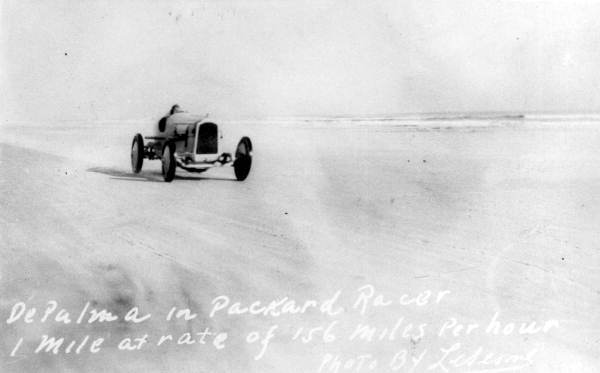 Ralph DePalma set the 1919 land speed record in a Packard. It wasn’t always this way, as the vehicles setting the record in the early 1900s were what you might actually recognize as being closer to traditional transportation. And driving these vehicles over 200 mph, as Henry Segrave did first in 1927 aboard Mystery, was quite an accomplishment – and a dangerous one at that. The Spirit of America changed the way the record would be chased for good in August of 1963 on the Bonneville Salt Flats. At first, the 407.447 mph achievement was disallowed because the vehicle had three wheels, and the jet engine did not supply power to the axles. Initially, another division was created which allowed Spirit of America to hold a record. 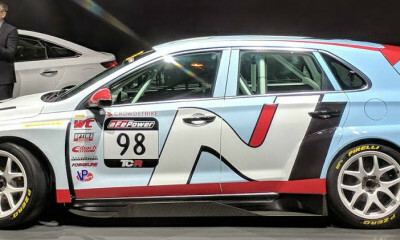 But just one year later, the governing bodies basically said “awww, screw it, let them do whatever” and opened the door for “cars” of any kind to hold the official record. Surprisingly, the current record was set all the way back in 1997 at 760.343 mph. And the man behind the wheel when the current record was set, Andy Green, will also attempt to hit the 1,000 mph mark. 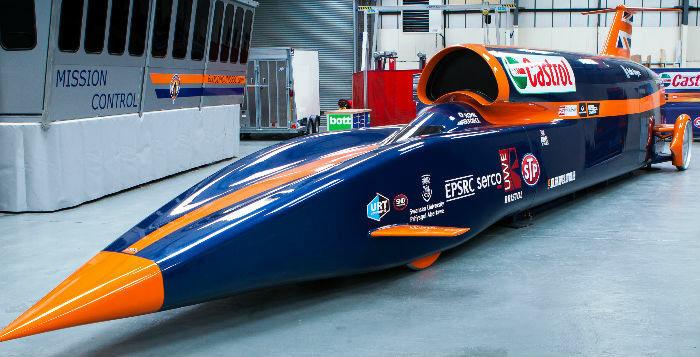 Green will attempt to crush his own mark in the Bloodhound SuperSonic Car (SSC) at the Hakskeen Pan lake bed in South Africa. 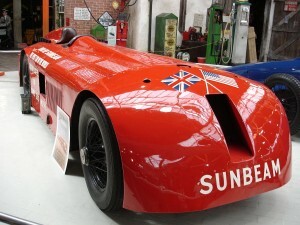 Sunbeam, also known as Mystery, was the first car to travel 200 mph. 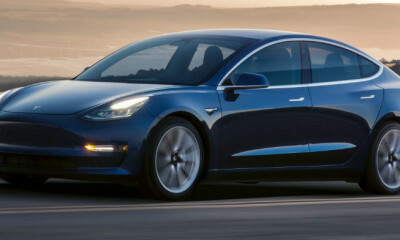 Green is a former fighter pilot, and you would almost have to be to “drive” this vehicle. The Bloodhound SSC will have three engines that deliver 135,000 horsepower. But that isn’t all. It also will feature rocket booster to deliver the thrust that the team hopes will get the car over the 1,000 mph threshold. The jet engines alone will only get the vehicle to a mere 600 mph. To hit that fourth digit, you need the rocket booster. The wheels on this beast aren’t even made of rubber, as rubber wheels can’t be trusted to stay together beyond 450 mph. 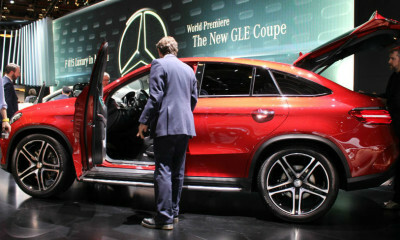 So instead, the wheels were constructed of solid aluminum. And as for the steering wheel – I can’t imagine why it would even need one. Would there be any reason to turn a vehicle that is traveling 1,000 mph? And even if you could, you surely wouldn’t want to. Why not just put the Bloodhound SSC on a rail and let it go? 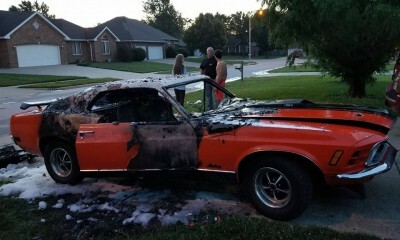 It would be just like when you raced the wooden car that you made in high school shop class – attached to a wire. Because clearly, there isn’t much Green has to do but mash the gas pedal…if it even has one of those. 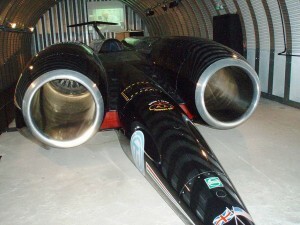 ThrustSSC is the vehicle responsible for the current land speed record. While I can appreciate the sheer adrenaline rush that it would be to drive the vehicle and set a world record in the process, the land speed record just doesn’t impress me. If we are just putting aluminum wheels on a jet, what are we really accomplishing?